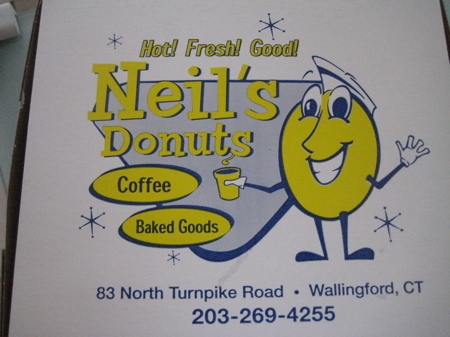 Neil’s is another excellent Connecticut donut purveyor. Not only do I love their donuts, I love their location. 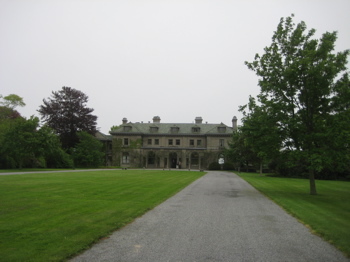 Right off of the Wilbur Cross in Wallingford, they make a for a great stop on my way to New England Brewing Company. Or to my friends Jay and Melissa, who happen to live two mintues away. Suffice it to say, I often use Neil’s as a bribe to keep my kids quiet on my trips to both of these destinations. It almost appears that Neil’s exists as it does to stick a thumb in the eye of all those who think everything surrounding Yale is gothic and expensive. Neil’s is a small, unadorned, old-school donut shop tucked among other similar shops along a busy stretch of road off the Merritt. It’s not pretty… But that’s the point. Heck, the owner’s last name is Bukowski after all. 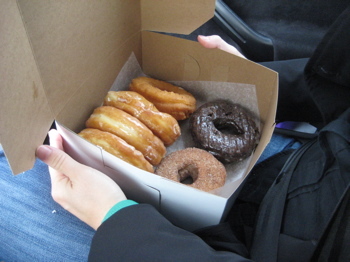 Not that we don’t want to accept the gift of a donut from Phillip’s, but we gladly will admit that a trip to Neil’s is well worth the effort for all of us who have an insatiable craving for excellent donuts. This roadside bakery is in the upper echelon of New England donut shops. The selection is large, including both glazed (the lightweight ones) and cake donuts (the heavier dunkers), both of which are available plain, sugar-frosted, chocolate-topped, and cinnamon-coated. There are also luxurious jelly filled pastries — long black raspberry-filled crullers and big round red jelly-filled Bismarks. Proprietor Neil Bukowski told us that he keeps true baker’s hours, arriving every morning before 3 and closing the shop mid-afternoon. He’s been here less than a year, but in that time his friendly little place has become a magnet for donut hounds from miles around. The shelves also hold bagels, hard rolls, muffins, cookies and pies, but in truth, we’ve tried none of these peripheral items. 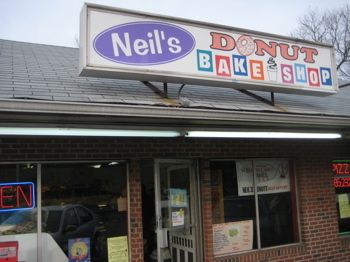 In our book, Neil’s is a donut shop! Easily accessible off of the Merritt just outside of New Haven, Neil’s is almost a step back in time. At least that’s what they try to portray with their 1950’s fonts and logo look. 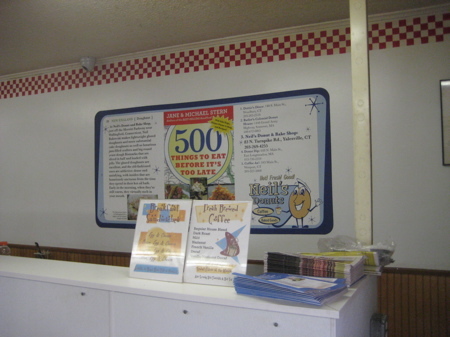 Usually that sort of kitsch doesn’t work for me, but in the context of a donut shop, it does. I actually like it a lot. With Hoang still groggy from the early wake-up call and Damian… Damian being Damian, I hopped out of the car and into the shop alone. Wow, so much selection. And the smells! So intoxicating. 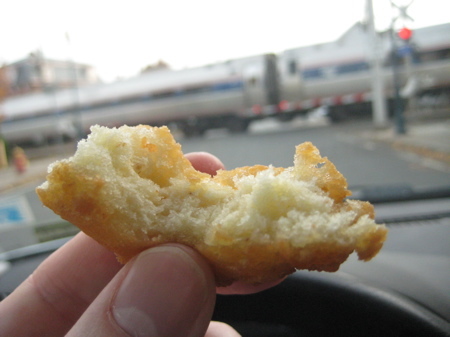 I’ve come to realize I love freshly made simple donuts… and man, I was going crazy here. I kept it together enough though to only buy a few, including the Roadfood recommended Old Fashioned – my favorite. I bought a few others to satisfy my family’s sweeter teeth and we hit the road again. I couldn’t hold out… I had to have a bite. Oh yeah, these things were the real deal. 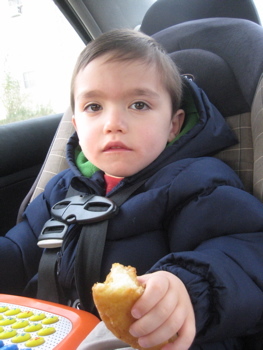 As I drove onward towards the turkey farm, Hoang and Damian tore up the donuts and I hardly had any. It’s like they don’t even love me sometimes. Might have to take a road trip down there to compare them against Donut Dip in West Springfield. I’ve met people who’ve driven up from New Haven to pick up a couple dozen Donut Dip donuts.